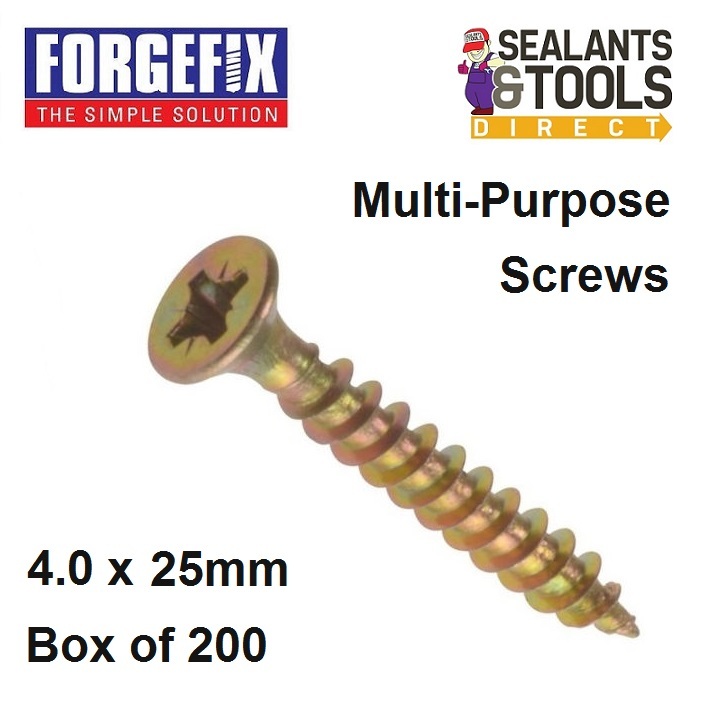 Forgefix 25mm Multi-Purpose Pozi Screws with countersunk heads. Immensely popular and versatile used in all trades including joinery, electrical and plumbing. Also widely used in DIY applications. Zinc yellow passivated finish for increased durability. Suitable for use with many materials including PVCu, Timber, Chipboard, MDF, etc. Countersunk head is designed to sink flush with substrates to leave a smooth surface finish. Single threads designed to offer higher pull out values and quicker insertion.